Materials and massing for the new College of Business at Benedictine University will create a new campus landmark featuring a welcoming, collaborative outdoor gathering space. The design intent is to further the campus’ master plan initiatives. 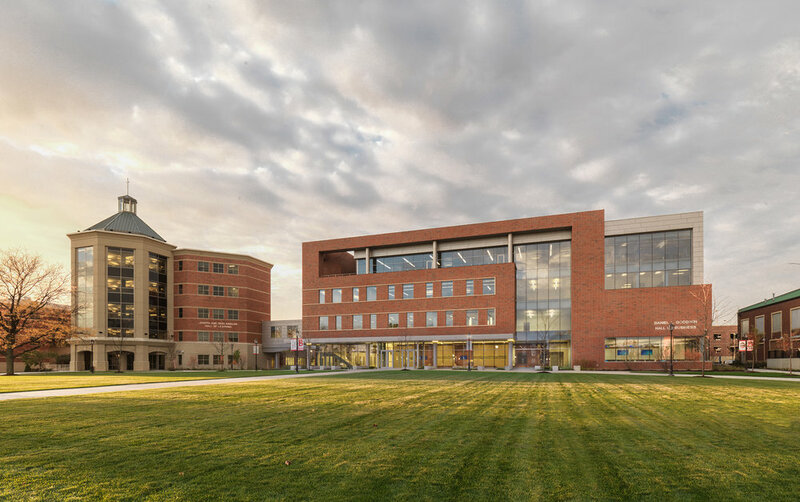 The design goal is to use the building as a hub to aid in way finding across the campus and seamlessly integrate the new business school into greater campus community as if it’s always been there. The building’s massing is created from contextual physical datum lines and adjacent building massing elementsFunctionally, the building will elevate the College of Business’ mission to build a better world through business. The design will deliver education with transparency and this access is intended to develop an interactive and collegial place for learning and interdepartmental awareness.